Career and technical education (CTE) focuses on high-demand, high-skill and relatively high-wage occupations. It seeks to better connect the skills and degrees that students are pursuing with the jobs that are currently available and expected to grow within the next ten years. Many of these careers are in the professional trades, business and information technology fields, health care and STEM (science, technology, engineering and math) areas. Check out the Fifty Hot Jobs outlook through 2024. See videos about CTE Opportunities in Marquette and Alger County high schools. 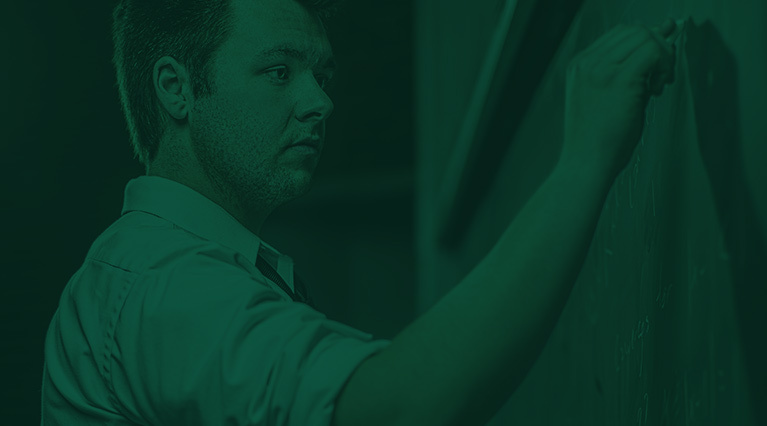 Watch a video on NMU's CTE programs. 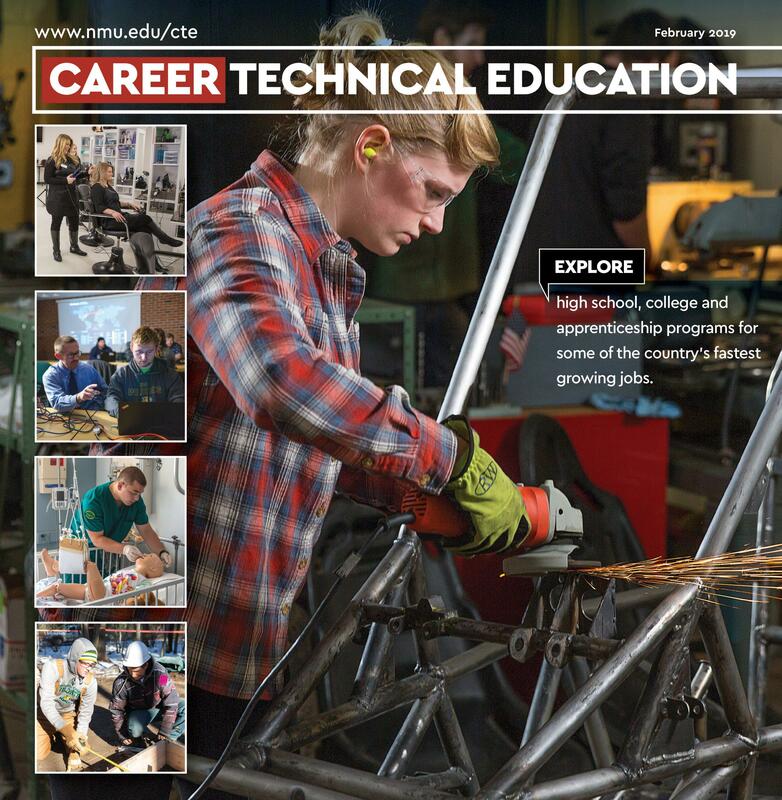 Read the 2019 Career Technical Education Magazine related to this website. 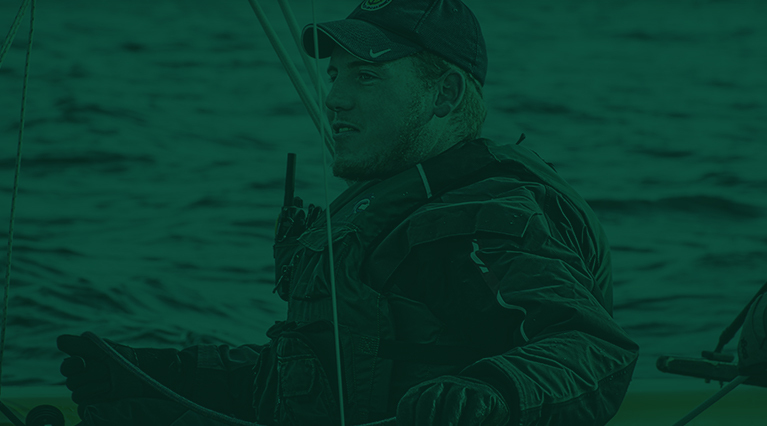 The website and magazine are a collaboration between Northern Michigan University and members of the Career Technical Education Committee of Marquette and Alger Counties. It’s a good time to start thinking about these career opportunities when students are in middle school and high school. Businesses, government, schools, trade unions and community groups are gathering together to help ensure that students are provided with more information and choices on careers needed to sustain and grow our economy and develop the technical and critical thinking skills that employers desire. Students can start exploring CTE career pathways at a young age, and have the option to enter a career right from high school, continue on to a one-, two- or four-year college degree, or enter an apprenticeship program. Adult workers seeking a career change can also benefit from the demand for employees in these fields. The skilled trades are the hardest jobs for employers to fill. More than one million jobs are currently unfilled in manufacturing, trades, transportation and utilities. People with a CTE associate degree earn $4,000-$16,000 more a year than those with a humanities associate degree. Business and Information Technology jobs make up nearly half of the 50 fastest growing career fields in Michigan. Here are opportunities throughout Marquette and Alger counties on training for these in-demand careers. Earnings, job growth and education levels in this publication are from the Occupational Informational Network (O*Net), which is developed under the sponsorship of the U.S. Department of Labor/Employment and Training Administration. Important information about the educational debt, earnings and completion rates of students who attended the certificate programs in this publication can be found at nmu.edu/gainfulemployment. Apply for any of these programs at NMU and we'll pay your $35 application fee! Enter event code CTOS when filling out your online application. Must apply by June 21, 2019.